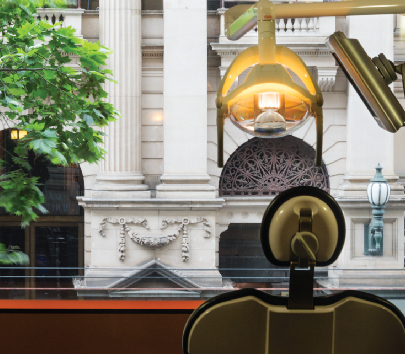 As the largest private dental practice in one location in Australia, Melbourne’s Smile Solutions offers the services of over 40 general dentists, 23 dental hygienists and therapists, and more than 20 registered specialists. 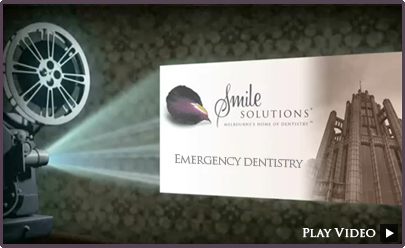 Collectively, our team caters for all your dental needs, including emergency dentistry. And with all the latest dental technology at our fingertips, any emergency will be given the most professional treatment available. To cater for unexpected dental visits at short notice, we reserve emergency appointments daily. Our clinicians are skilled at handling all acute situations, including toothache, chipped or broken teeth, infections, denture repairs, impacted wisdom teeth and more. Prompt attention to any of these will improve the chances of saving the affected tooth/teeth. It will also avoid permanent damage and the need for more extensive (and expensive) treatment later on. If you have been involved in an activity or accident that has caused a dental injury, such as a chipped or broken tooth, you will know you require emergency dental treatment. If you have any of the above-mentioned symptoms it’s important to see a dentist for treatment as soon as possible. In some rare cases, a dental emergency may in fact be part of a medical emergency. If you’re having difficulty breathing or swallowing, cannot function normally to eat or drink, or have significant swelling in the jaw area, you should call 000 or go to a hospital emergency department straight away. 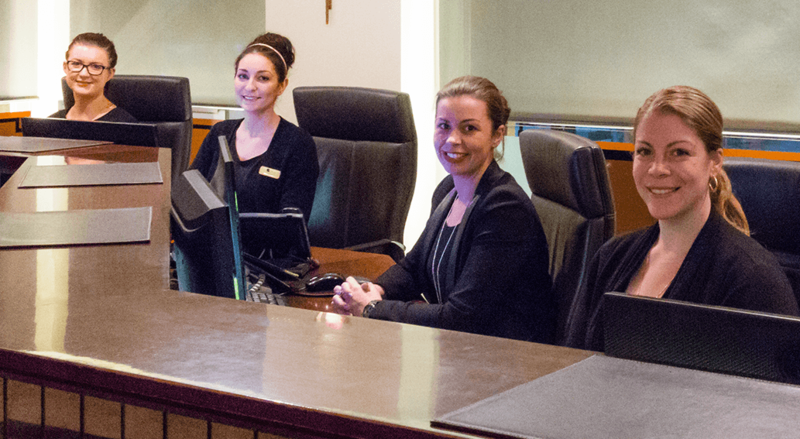 When you contact Smile Solutions regarding a dental emergency, our reception staff will ask a series of questions to find out more information and determine the treatment you may require. They will assess whether you need to be seen by a general dentist or a specialist, and how soon you should come in. They will also give you advice on how to cope until you receive treatment. The typical dental emergencies that we treat at Smile Solutions range from the general to the specialised. Here are some common scenarios. If you have an infected or impacted wisdom tooth, it can be painful and require urgent treatment. One of our general dentists will examine the affected tooth and, depending on the complexity of your case, may refer you to a registered oral & maxillofacial surgeon. An infected tooth will sometimes require root canal therapy. This treatment is a way to save your natural tooth in preference to having it extracted and replaced with an implant or bridge. Root canal treatment will be performed by one of our registered endodontists. These highly trained specialists focus on treating the tooth pulp (nerve) and the tissues surrounding the root of a tooth and are therefore best qualified to perform such a procedure. If you have a chipped or broken tooth, it will need to be treated by a general dentist. This should happen without delay, especially if the nerve of the tooth has been exposed, increasing the risk of infection. If the damage was caused by a fall or a knock to the face, you will also need to be examined for other possible oral injuries. A knocked-out adult (or permanent) tooth should ideally be reinserted as soon as possible to keep it “alive”. If possible, push the tooth back into its socket, holding the tooth by the solid white crown and making sure not to touch the exposed root. Then seek dental treatment straight away. If the tooth can’t be placed back into its socket, coat it in saliva or immerse it in milk (not water) and bring it with you to the dentist. In instances when a tooth cannot be saved, such as when it has been too severely damaged by trauma or decay, your emergency dental treatment may involve the tooth being removed and replaced with an implant. For dental implants we recommend you visit one of our registered prosthodontists. If your denture is damaged you should promptly have it repaired or replaced. Dentures can be constructed quite quickly; so the sooner you make an appointment, the sooner you can have a new denture. Whether you wear Invisalign clear aligners or have braces, any damage should be quickly attended to. If your aligner breaks or a brace bracket becomes detached, make an immediate appointment to see your orthodontist so they can repair or replace the appliance. The most common dental emergencies among children take the form of a chipped or knocked-out tooth. If the tooth that is knocked out is a baby tooth, you should not attempt to put it back in its socket as you could damage the developing tooth beneath the gum. Make an appointment with your child’s dentist and take the tooth with you to that appointment. The dentist will assess the socket and check for any other dental injuries. This flyer has more information on what to do in children’s dental emergencies. Should I See a General Dentist or a Dental Specialist? 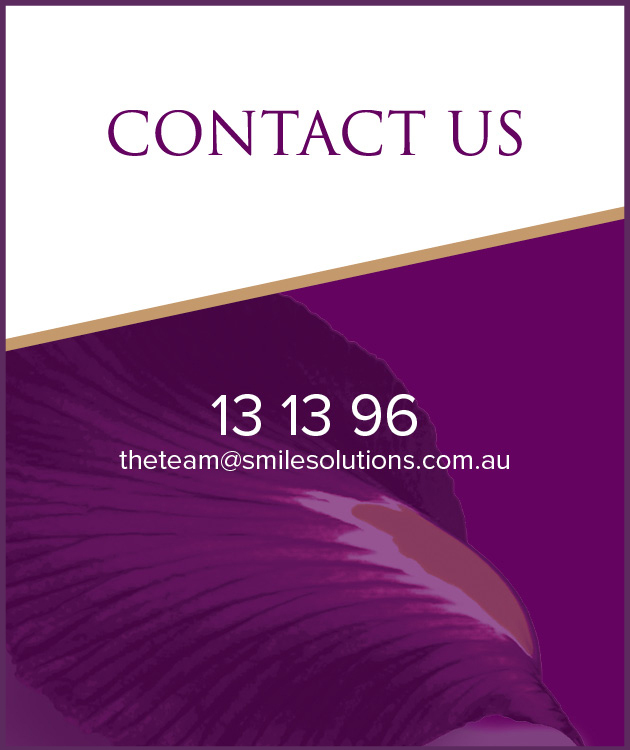 At Smile Solutions our general dentists are experienced in all areas of dentistry and can provide emergency dental care for patients who need it. We also have the full spectrum of dental specialists practising under the same roof – including orthodontists, endodontists, periodontists, prosthodontists, paediatric dentists and oral & maxillofacial surgeons. These registered specialists are dentists who have undertaken further years of study to specialise in a particular field. Depending on the type of dental emergency you are experiencing, you may need the services of a general dentist or a specialist or both. One of the main benefits of attending a practice that houses both general dentists and specialists is that we will be able to advise you which of these practitioners is most appropriate for your situation – and you won’t need to leave the building to proceed with treatment. We have a large team consisting of general dentists and specialists who can provide you with treatment, no matter your dental emergency. If you require emergency cosmetic dentistry, we have cosmetic dentists on hand to attend to your smile. For emergencies such as root canal therapy, you will see an endodontist. For an infected or impacted wisdom tooth, you will see an oral & maxillofacial surgeon. To find out more about our general dentists and board-registered specialists, visit our team page. We understand that dental emergencies cannot be planned for and sometimes can’t be prevented; accidents can happen at any time, often outside of normal clinic hours. That’s why we open early, close late and are open for our patients on Saturdays and Sundays. And the large scale of our practice means there is always a practitioner available when you need us. Our central location also makes it easy for patients to access emergency treatment. 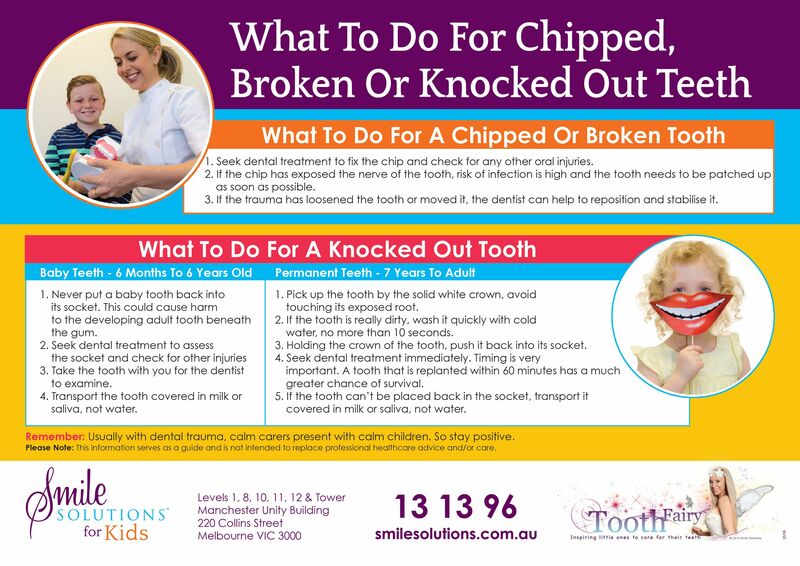 Whether you require emergency cosmetic dentistry, emergency root canal treatment, an urgent tooth removal or any other kind of acute treatment, you will be well looked after at your Melbourne dentist Smile Solutions.